The Smithsonian Institution Archives collects, preserves, and makes available the official records of the Smithsonian’s nineteen museums, nine research centers, and the National Zoo that document Smithsonian staff, artifacts, benefactors, events, exhibits, buildings, and research. Personal papers, special collections, records of professional societies, and oral/video histories supplement these records. Finding aids are guides to the Archives’ collections and include general descriptions of materials, box/folder inventories of collection contents, and information on access and citation policies. The Archives provides online access to selected individual images, documents, and oral/video histories. The Archives’ collection search helps researchers find all of the records that have been digitized and cataloged to date. Please note that the majority of the Archives’ collections have online finding aids which staff are constantly adding to and updating for the collections search. 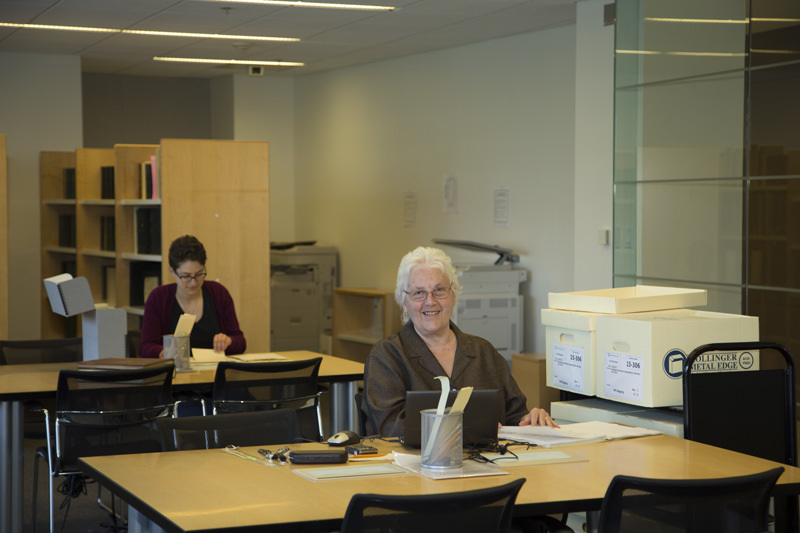 The Archives’ Reference Team is also available to help researchers locate the materials they require, and answer general Smithsonian history questions via the Reference Inquiry Form. Some inquiries may also be answered in the Smithsonian History section and Reference FAQ. The Smithsonian holds millions of other collections across its museums, research centers, libraries, and archives. For reference inquiries pertaining to collections across all the Smithsonian, please visit the main Smithsonian's collection page. Most records and special collections are stored off-site. Researchers should contact the Reference Team at least one week prior to visiting to ensure that records can be made available in the Archives Reading Room. The Reading Room is open to scholars and the general public, however, children under the age of twelve are not permitted. Reading Room hours are 9-5, Monday-Friday, except on federal holidays.